Las Vegas is home to the most luxurious hotel & casino resorts ever. So, if you want to experience the world’s gambling capital to the fullest, you should drop by one of these. Clients of these resorts can enjoy 5-star quality with all sorts of amenities, entertainment and activities. This includes everything from a spa to village-sized casinos, so there are many ways to spend your time there. These top 5 casino resorts may be expensive at times but the luxury is more than worth it. You didn’t expect to stay on a budget in Las Vegas, did you? Bellagio is one of the best-known casino resorts on the Strip. 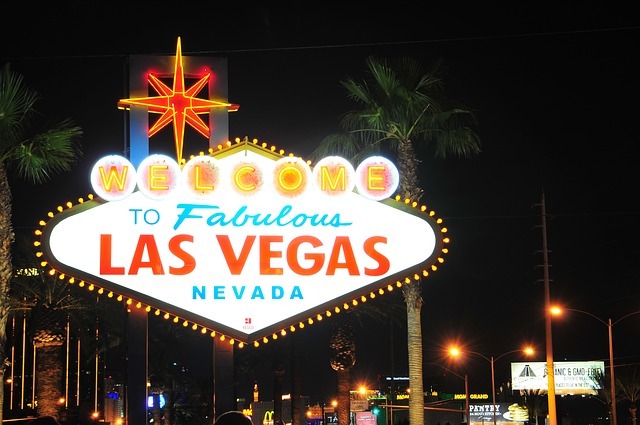 It’s located at the centre of activities in Las Vegas and has some of the most famous sights in the area. You’ll find the renown dancing fountains, huge in-doors botanical gardens and various suites to stay in. From the Spa Tower to the VIP lounges, Bellagio offers something for everyone. There are almost 4,000 rooms in the hotel, so it’s as big as the Bellagio casino. The latter has over 2,300 slots and table games. ARIA is another huge casino and hotel resort that’s loved by people looking for comfort. It has pools, bars, restaurants, lounges, a spa and much more. The 4,000 rooms in ARIA have touch-screen local-climate controls, gaming consoles and other technologies that will definitely improve your life. However, you should still get out and explore ARIA casino. After all, it’s the top spot for slot machines on the Strip. There are around 2,000 of those that you can choose from. Encore at Wynn is dedicated for the elite or travellers who want to feel like VIPs during their vacation. This place is on the pricey side, but it delivers accordingly. While there, you’ll find top-quality entertainment, bars and clubs. The place looks fabulous too, especially the architectural designs both in the common areas and the suites. When it comes to the casino, you’ll find spacious well-lit lounges with sportsbook, poker, table games and many slots. Just as the name suggests, you’ll find a mini replica of Venice inside the resort’s walls. Italian marble, gondolas, shops and spaces within the resort grounds are truly unique in the context of Las Vegas. The Venetian is located near the northern end of the Strip and its living quarters are quite big. As a result, you’ll get more breathing space than at other top casino resorts. The Venetian casino has over 1,000 slots and 200+ casino tables. If you can’t imagine a vacation without a spa, you’ll also get one of the best deals in this resort. Red Rock casino is much more remote from the Strip than the other casinos. It’s a 30-minute drive to the centre of attractions in Las Vegas. However, you can get there for free via Red Rock’s own shuttle. On the other hand, Red Rock casino has lots of entertainment on its own, so you won’t even have to go anywhere. It has a spa, pools area, a private beach, an amphitheatre, shops, restaurants and an 87,000 sq. ft. casino. VIP luxury is available in many resorts at Las Vegas. In some places, you can enjoy it for a reasonable price, too.